Click here to register today for a 2019 CSA Vegetable Share! Community Supported Agriculture (CSA) connects people with the farmers that grow their food. By purchasing a share, we, the farmers, commit to providing you, the member, with produce throughout the growing season. 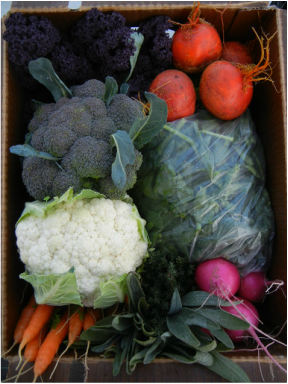 Vegetables in your weekly box change with the seasons, emphasizing the best of what is available. We do our best to provide you with an abundance of delicious produce and thank you for supporting a local farm. Being a part of a community that values taking care of the earth in a responsible way. The variety and freshness of the vegetables. Your [newsletter] telling us about your family and what is going on at the farm. Variety of good veggies. Being a part of something. Forces me to eat better and expand my cooking abilities. WOW - We got our first box today and I am thrilled. Everything looks so yummy. I am so happy we got to sign on with your wonderful farm and CSA. Enjoyed the newsletter too - thank you for loving the earth and sharing it with us! You are passionate about your careers and it shows. Having a fresh variety of healthy vegetables every week. Also enjoy trying vegetables from the recipes in the newsletter that I am not familiar with. Knowing where my food comes from. Ethical, organic practices made by intelligent, caring human beings!! Supporting a family and my community with the best I can find. We take pride in providing you with beautiful, wholesome, and delicious produce. By harvesting and washing your vegetables as close to delivery as possible, flavor and freshness are at their peak. We use sustainable, chemical-free farming practices because we believe in being good stewards of the land and value safe, healthy food. In addition to a box of vegetables, you will receive a CSA newsletter with details on box contents, farm life and events, recipes using vegetables from your share, and photographs from the farm. You are welcome to visit and help out on the farm during volunteer days as well as meet other CSA members at the on-farm fall potluck. To view photos of CSA box contents and recipes, click here. 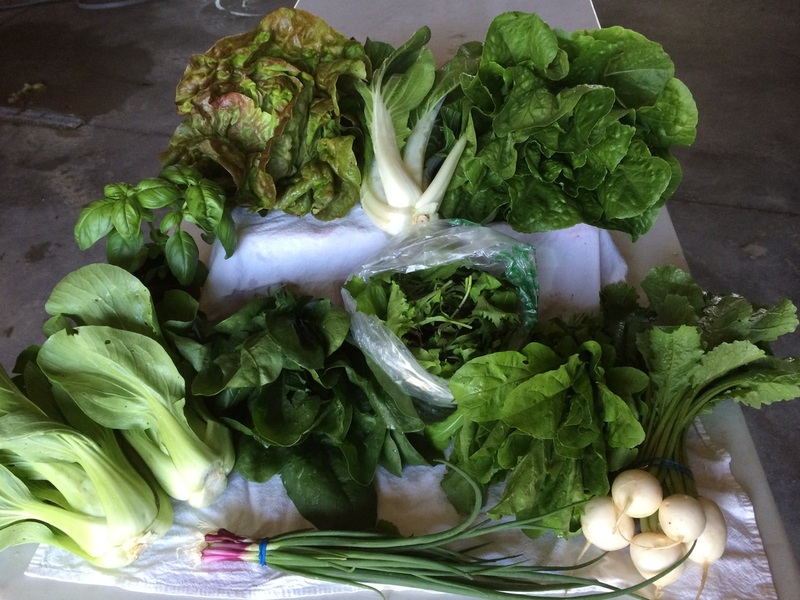 More than "Just a Box of Vegetables"
When you become a member of Sweet Top Farm, you are getting more than a weekly share of produce and a newsletter.